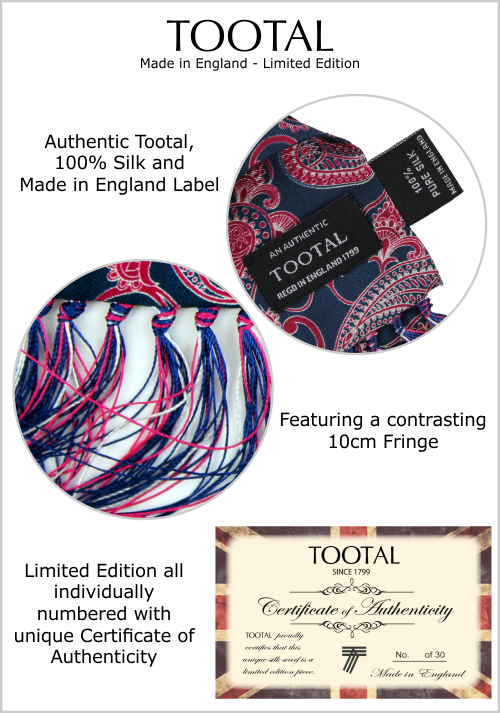 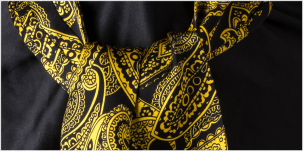 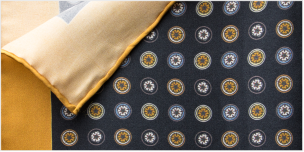 Tootal Limited Edition Two Tone Made in England Scarf, 100% Authentic New Silk Scarf. 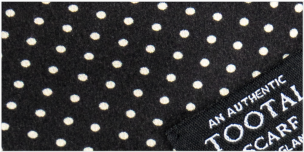 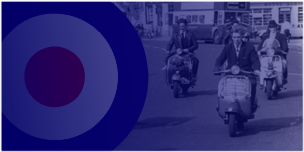 Part of a Limited Edition individually numbered Six design capsule collection to celebrate Tootal's British Heritage. 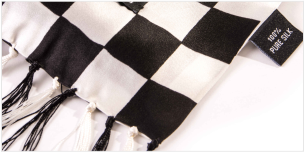 Each scarf is limited to just 30 of each and comes complete with a luxury gift box and unique individually numbered certificate of authenticity. 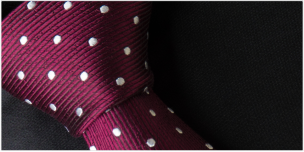 A great length which can be worn long, knotted or wrapped around so versatile.